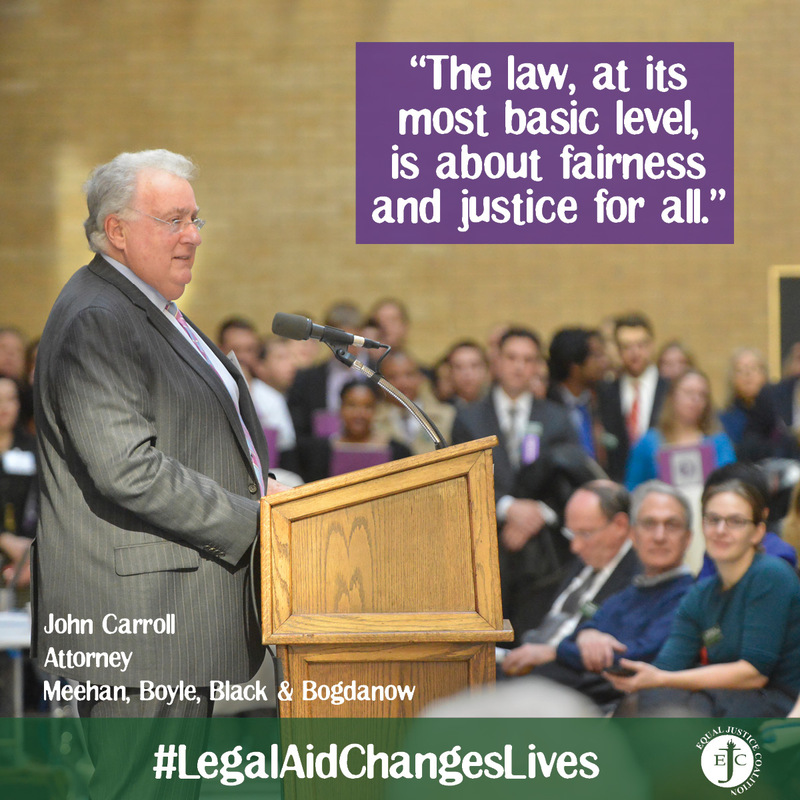 John Carroll, an attorney at the Boston firm Meehan, Boyle, Black & Bogdanow, is passionate about history. The story of his mother’s immigration to this country at age 15, escaping deep poverty and political oppression, was his first and most powerful history lesson. When Carroll speaks about his own life, education, and career, he does so with gratitude and an awareness of how things like geography, poverty, and sometimes pure luck, can shape a person’s future. One of his first jobs after law school was as a legal services attorney on the Pine Ridge and Rosebud Indian Reservations in South Dakota, where he saw how far from being a reality equal justice for all was.